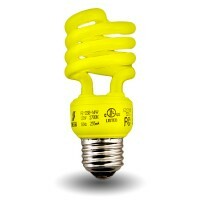 The Mini-Sprial in COLORS Compact Fluorescent Retrofit Mini-Spiral bulbs. The smallest of the CFL Series. The small spiral design allows the bulb to find most any application. 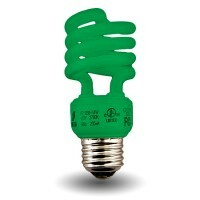 Energy efficient and very "green" this high quality bulb is made to last for years during normal use.
" Just what was needed. So thankful that I found this website that was simple enough to use and find the separate parts. I will recommend you to many of our R.V. friends. " " Great service and your site was easy to navigate. As a matter if fact, I have to place another order later. " " Thank you so much. Excellent service! "